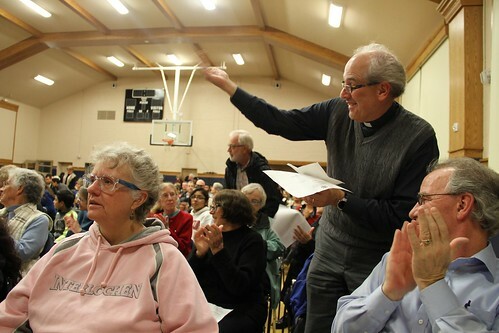 In front of 300 Marin Organizing Committee leaders assembled at St. Raphael Catholic Church, Marin County Supervisor Damon Connelly (in bottom right photo) and Supervisor Katie Rice revealed that the County's next step in addressing the region's affordability crisis might be to require mediation for landlords seeking to raise the rent by more than 5%. 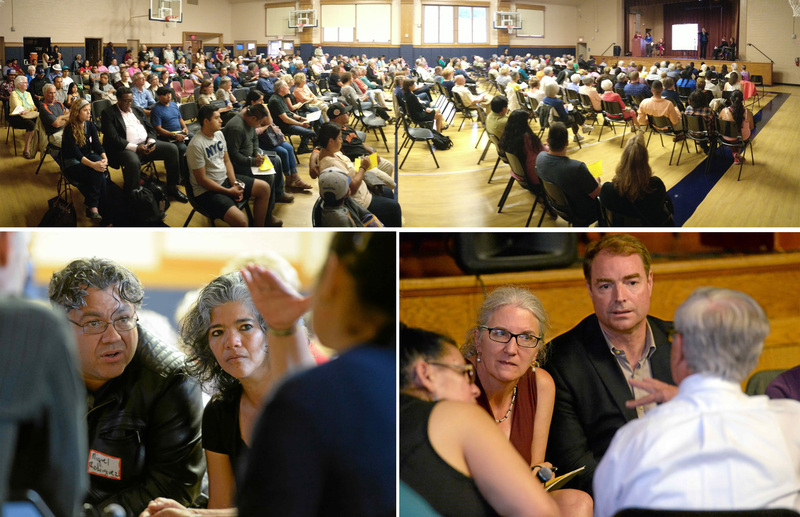 This announcement followed a prior assembly convened by MOC leaders to address deportation and eviction threats faced by local immigrants, public testimony in Supervisor Board hearings, and multiple meetings with County Supervisors. With three asthmatic children in the family, Patricia Vega (in photo above) was constantly on the lookout for mold. "Every time we move, we think it gets better, but it does not." Realizing that the Dallas housing code enforcement offered no protections, she, with a group of women from San Juan Diego Catholic Church, enlisted the support of Dallas Area Interfaith (DAI) to change the law. In a little over a year of public action, DAI church leaders confronted landlords, secured the support of allies, negotiated with adversaries, and ultimately changed the housing code of Dallas in a fundamental way. Says Heather Way, a professor at University of Texas School of Law who specializes in affordable housing law, "These reforms are much needed and should have a big impact on protecting the health and safety of Dallas's most vulnerable." FOX News calls the code the "toughest landlord rules in the state." Said former code enforcement prosecutor, Councilmember Adam McGough, "this is unprecedented."